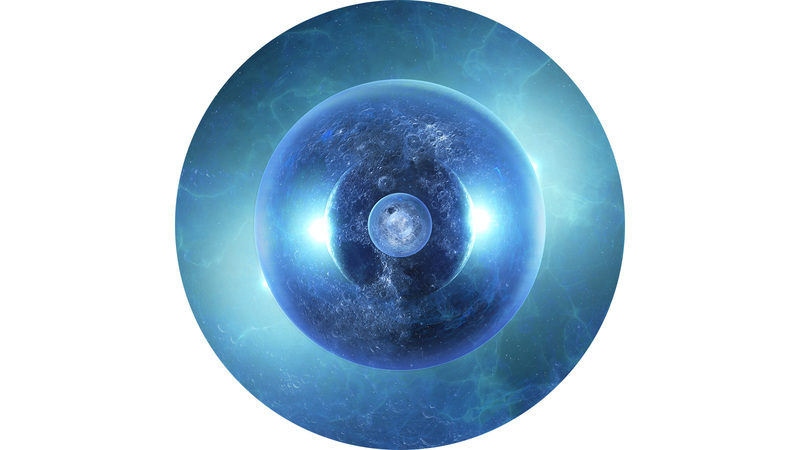 Commissioned to create a video installation for a contemporary production of ‘Pelléas et Mélisande’, artist Marco Brambilla turned to Territory Studio to realise his celestial vision. Part of Opera Ballet Vlaanderen’s centenary celebration of French composer Debussy’s death, the projections offer an abstract interpretation of the emotional narratives playing out on stage. 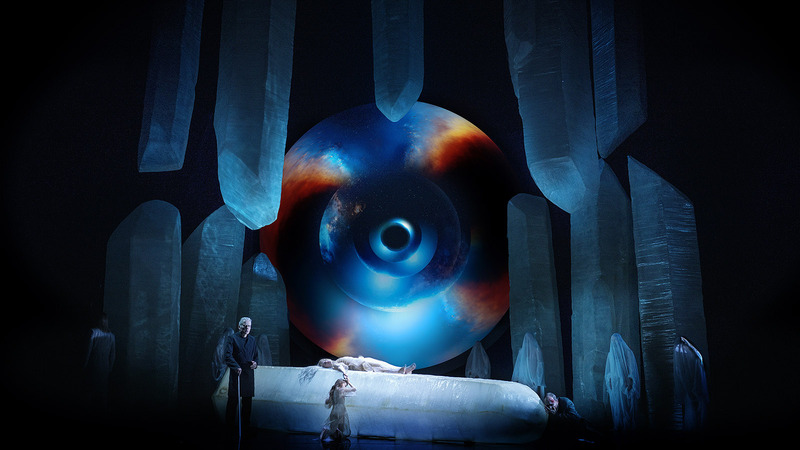 A central element of the stage scenography in the five act opera, Brambilla’s narrative concept takes the viewer on a metaphysical journey into the characters’ subconscious through a series of ‘celestial pathways’. 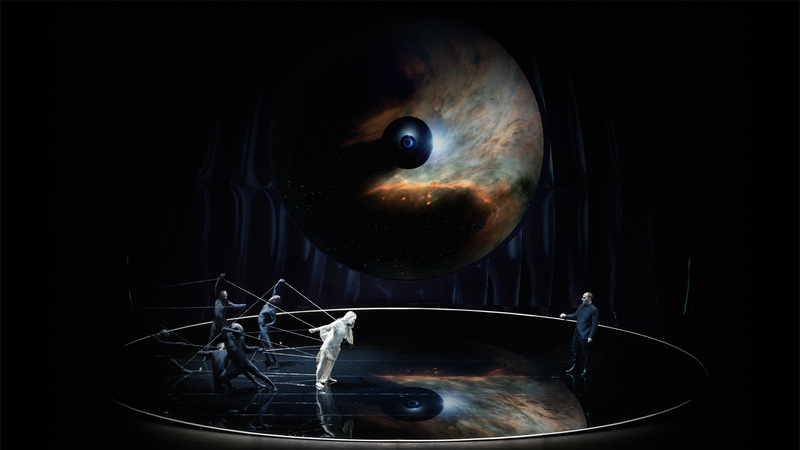 Working in collaboration with motion graphic and narrative design specialist Territory Studio, Brambilla’s concept was realised by manipulating original NASA footage from the Hubble Space Telescope into a series of emotive compositions that are projected on a floating 7m diameter disc, the symbolic iris in artist Marina Abramoviç’s surreal set design. Says Creative Director Nils Kloth, “We created 7 animations, and discussing narrative context and emotive cues with Marco, pushed the visual interpretation of the Hubble images towards abstract emotional representation”. Alternately subtle and dramatic, organic and geometrical, the beautifully realised projections add a contextual dimension to the tragic opera. The pan European production opened on February 2nd and will tour Europe throughout 2018.